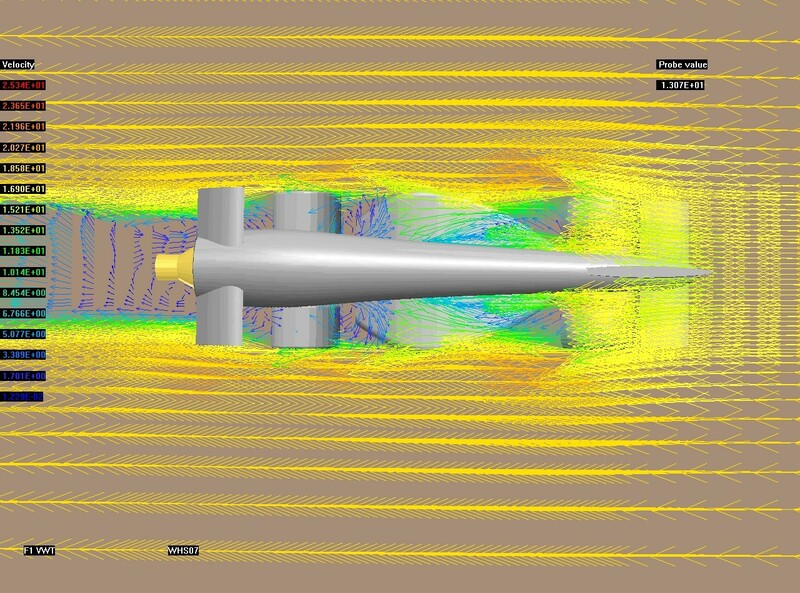 PHOENICS VWT (Virtual Wind Tunnel) is a software package aimed at motorsport applications. 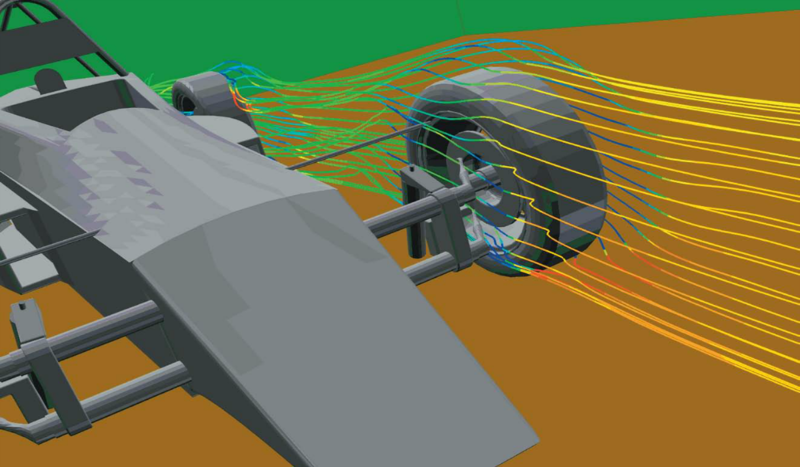 The VWT uses mathematical techniques of computational fluid dynamics (CFD) to simulate any process involving fluid flow (in this case air). CFD packages have been available for many years but have, traditionally, been the preserve of big-budget teams due to the computing power required, the cost of the software, and the skills necessary to use it. 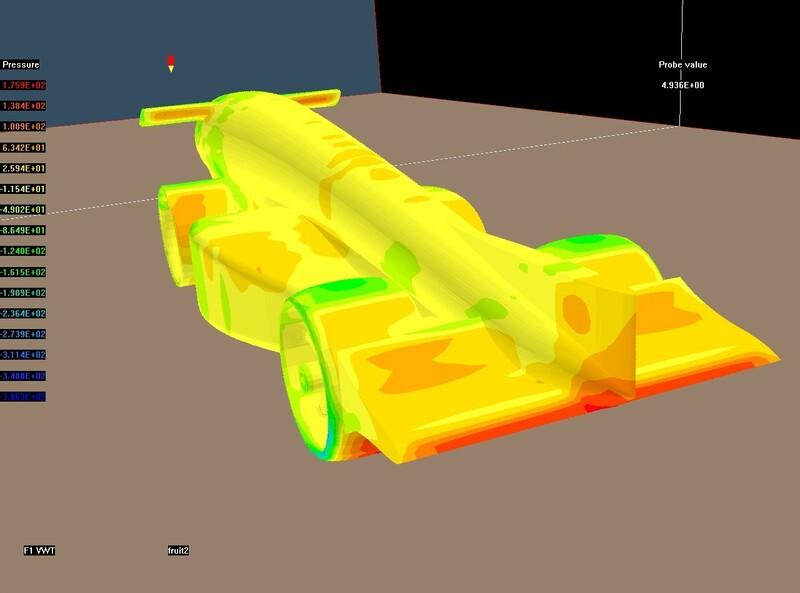 The increasing affordability of powerful desk-top computers removes one barrier and development of the available software allows engineers who are not CFD specialists to make use of the tool. Carrying out aerodynamic simulations that provide lift and drag information to influence decisions on design before physical testing is, therefore, a practical option. 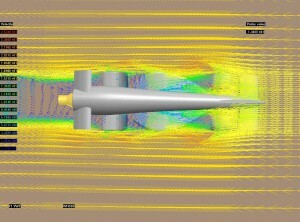 It is often not possible to validate specific designs in a wind tunnel, either due to cost or time constraints. In this case PHOENICS has been demonstrated to provide results that agree closely with physical tests across a wide range of applications providing that the geometry of the electronic model is accurate and that care is taken when setting the grid and system parameters. One of the main aims of the VWT is to simplify the initial set up of a case to provide realistic results. The VWT‘s VR-Editor is an interactive environment to load a particular design and set the parameters to be used for the computation. Results can be visualized within the VWT’s VR-Viewer after the case is run. The display tools available include vectors, contours, iso-surfaces, and streamlines for both velocity and pressure. 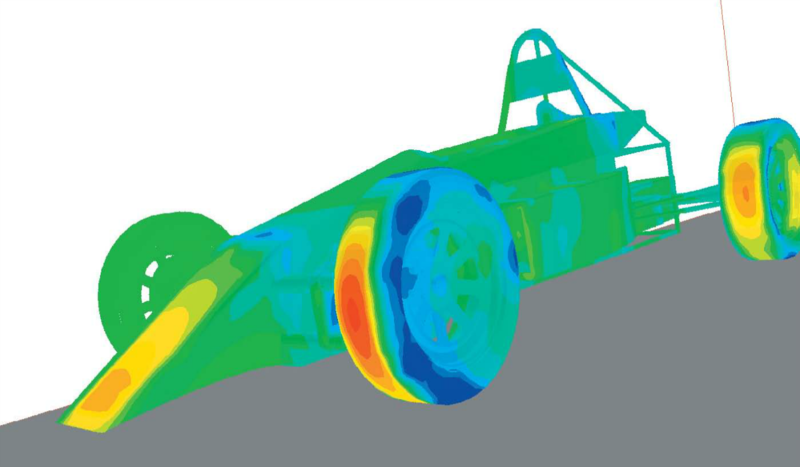 The forces on the vehicle body are also calculated to produce information on lift and drag. 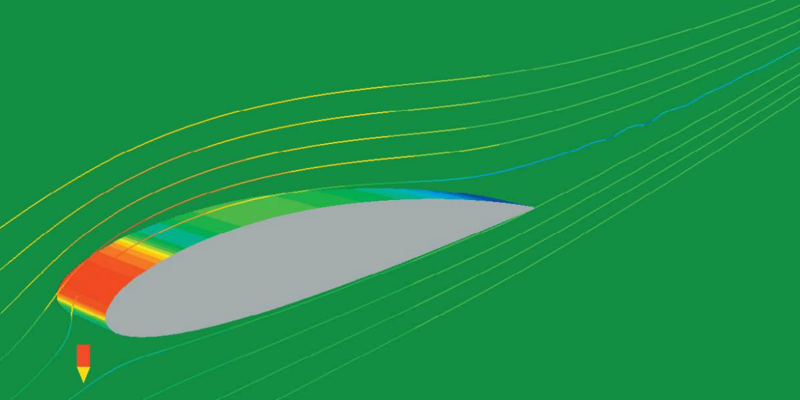 PHOENICS has been validated by many organizations, both industrial and academic, over a range of different flow situations including air flow around buildings and the development of a diffuser for a wind turbine. The VWT can be run on any ‘standard’ PC running Windows. The software is CPU and RAM intensive, so the more power that is available, the faster it will perform. A 1GHz system with 512Mb RAM is a minimum requirement. The VWT is able to accept designs created using a wide range of CAD software as both STL (3D object based solid models) and dxf-file formats are catered for. Alternatively a 3D-modeling package such as Shapemaker or AC3D can be supplied by CHAM. There are also a number of companies who can provide 3D scanning facilities on a job-by-job basis.